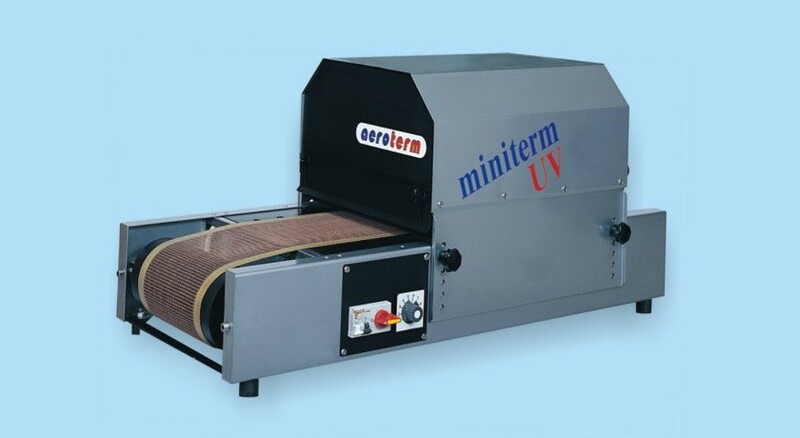 Compact minitunnel for UV curing of a new original design and high specification. Reflective mirror is made from special material with the highest reflectivity in UV range. This mirror is supplemented with high quality temperature filter. The dryer is equipped with UV lamp of reswitch linear UV output 60/120 W/cm - you can use switching between full and half output. Original design of mirrors, original multistage air cooling and temperature filter where appropriate all go to ensure very effective thermal protection of cured objects. Aerodynamic retaining of printed objects at transport belt, perfect ozone exhaustion by separate fan unit (included in this item). For conveyor belt drive is used the threephase careless electromotor controlled with the frequency invertor. The belt speed can be changed continuously. Highly resistant transport belt made of glass fibres covered with teflon. The equipment satisfies European Union regulations and standards regarding design, operation and safety and has CE declaration.